The Pentek, Ametek, US Filter, American Plumber SW-4 Filter Wrench fits American Plumber HD 20" Housings with 1" and 1 1/2" Inlet/Outlets. 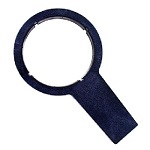 Also known as 20" Big Blue 5 7/8" Filter Housing Wrench. The Pentek SW-1A Filter Wrench fits all Slim Line Housings including ww38 by Pentek, American Plumber, US Filter, Plymouth and others. Formerly known as part number 150294. Part number 150539. 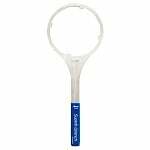 The American Plumber WW34 / SW-2 Filter Wrench makes changing your water filter easy. The WW34 filter wrench is made for 3/4" inlet/outlet housings and works with housing model numbers: 150015, 150111, HF-150, HF-160, HF-360, Ace 45025, Ace 46764, 1. 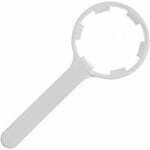 The American Plumber WWHD or SW-3 Filter Wrench fits American Plumber, Kleen-Plus and WWHC Housings with 1" and 1 1/2" Inlet and Outlets. 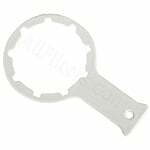 The Frigidaire Wrench 218710300 is used to remove the filter cup on all refrigerators that use filter models WFCB and WF1CB, Puresource and Puresource Plus water filter. 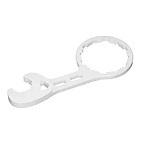 The American Plumber WW34C Filter Wrench fits American Plumber W34 and WC34 Filter Housings with 3/4" inlet and outlet. American Plumber part number 152038. 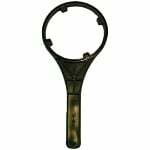 The Superb Wrench #31 Stainless Steel Filter Housing Wrench will not break like a plastic wrench when removing the filter housing unit. 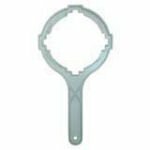 The WX5X140 GE Filter Housing Wrench is used to remove the canister or sump on single stage GE filter systems, reverse osmosis systems and dual stage filtration systems. 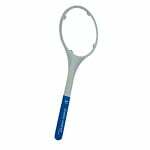 The American Plumber SW-5 Wrench is used for twisting on and off water filter housings and makes changing your filter easy and convenient. 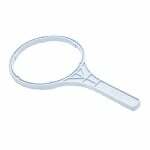 The GE WX5X3002 Water Filter Wrench is used with GE Whole House Filters Housings GXWH30C, GXWH35F when changing the FXHSC and FXHTC filters. 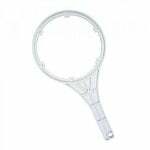 The Aqua Pure 68434-32C Wrench helps change water filters in Aqua Pure housings. This Wrench is used on Housings: AP11S, AP11T, AP12S, AP12T, AP26T, AP51T, AP101S, AP101T, AP102S, AP102T and others.